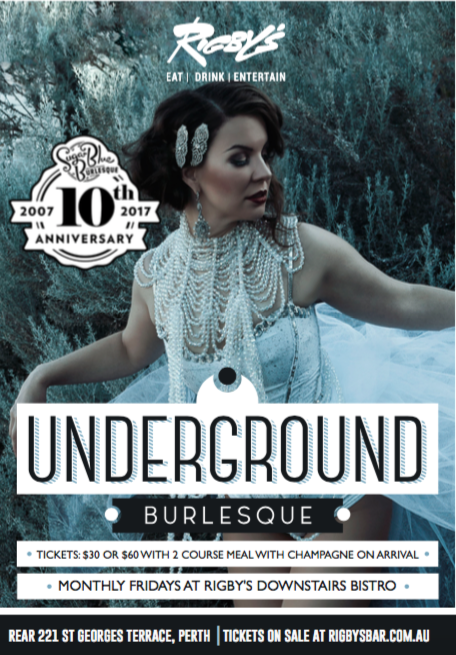 Underground Burlesque…where the champagne flows and our girls leave you hot under the collar! Delve into the saucy world of burlesque as Sugar Blue Burlesque and Rigby’s Bar serve you a feast for the senses. With showgirls in the spotlight, you’ll see the very best of burlesque while dining in sumptuous surroundings.